We’ve grown to become the largest provider of heating oil and propane in the Hudson Valley, earning the trust of thousands of home and business owners in the process. Every day, schools, hospitals, and thousands of families rely on Bottini Fuel to keep them safe and warm. If you are one of our customers, we can’t thank you enough. You inspire us to bring our best every day. If you are thinking about joining our family, here are a few things we think set us apart. We guarantee our price will be fair. With Bottini Fuel, you never have to wonder if you are paying too much. We guarantee that our price will be at or below the average for similar companies in our area. We will keep you safe and warm no matter what mother nature throws at us. We have the largest fleet of delivery trucks, the most storage, and the most highly skilled drivers in the area. When its freezing and the snow is piling up, you’ll feel better knowing we’ve got you covered. Our employees are exceptionally friendly, well trained, certified, and drug tested. There is a difference in a family owned business, and our employees show it every day. We create options that suit your individual needs. We sell and service a wide range of heating, cooling and water heating options, and back them all to your satisfaction. We can get you exactly what you need, in your budget, to stay comfortable. When you need us, we’ll be there. We work 24/7 in the winter, with live people answering the phone, who care about your home or business. We make things easier for you. You can use our on-line portal to check on payments, schedule deliveries, request service, when it’s convenient for you. You can get financing for equipment purchases, spread out your fuel payments on EZ pay, or have your fuel delivered automatically. We’re in business to make things easier for you. If you live near Kerhonkson, Port Jervis, Red Hook, Saugerties, Tannersville, Wappingers Falls, Washingtonville and the surrounding communities, you’ve seen our red trucks on the roads. Call us and see the difference we can make to you. 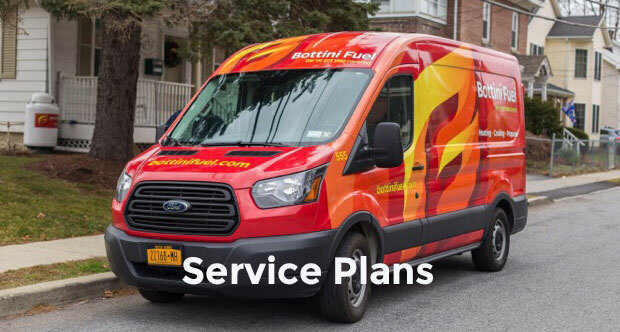 Bottini Fuel and our people are part of the fabric of life in the Hudson Valley. We support civic groups, schools and recreational programs, and many other local activities in the communities we love to serve. One initiative that’s close to our hearts is the Miles of Hope Breast Cancer Foundation. Since 2010, Bottini Fuel has been donating a portion of the proceeds from deliveries made from our pink truck to the Miles of Hope Breast Cancer Foundation. Miles of Hope provides funds to support programs in the Hudson Valley for people affected by breast cancer.